6.Suitable for etching industry, leather, packaging and logo cutting industry﻿. 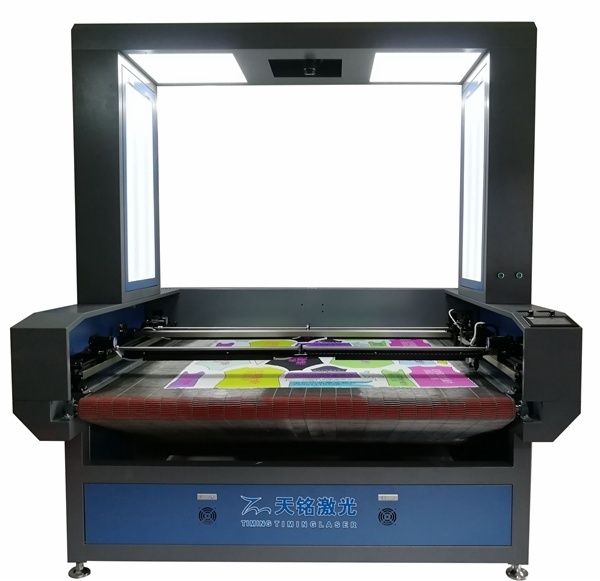 High speed automatic textile laser cutting machine, using high-definition digital SLR to one time realization the high precision imaging, which is including the large-format and multi-pattern, and avoid the error of splicing the image and the decline in image quality. This machine adopting high speed, high precision stepper motor, automatic feed, automatically capture the border and cutting speed is 2.5 times than of the traditional, which is the best choice of modern high-speed fully automatic large enterprise. Under the car seat cushion blanking, snow boots slippers, pillow under the warm hand treasure material, clothing affixed cloth embroidered, woven label, trademark cutting, garment accessories, ornamental engraving, punching and trimming, leather punch, lofting and cutting, organic glass, plastic, PVC, paper, wood and bamboo, ceramic, granite, graven images industry. SOP for Cutting Section: To maintain the best quality of Auto garment. In Auto group after received all document from marketing / sample section, at first we discuss all point about every order with sample, spec, buyer comments at pre-production meeting. After complete fabric inspection then we relax fabric according to our fabric spreading sop. When we, received sample, pattern marker then we start fabric spreading (lay). Complete lay, sometime relax fabric, then start cutting, numbering, budding & send to 100% panel check table. When panel check complete then send to (print, embroidery if required) sewing section for input. We keep all record properly. 1 Using Vision Positioning System, auto identity the material edge 2 Using high-definition digital SLR to one time realization the high precision imaging 3 Automatically feeding the material 4 Automatically correct and find the border again when the prints was deformed 5 Using high-speed stepper motor 6.Suitable for etching industry, leather, packaging and logo cutting industry﻿. 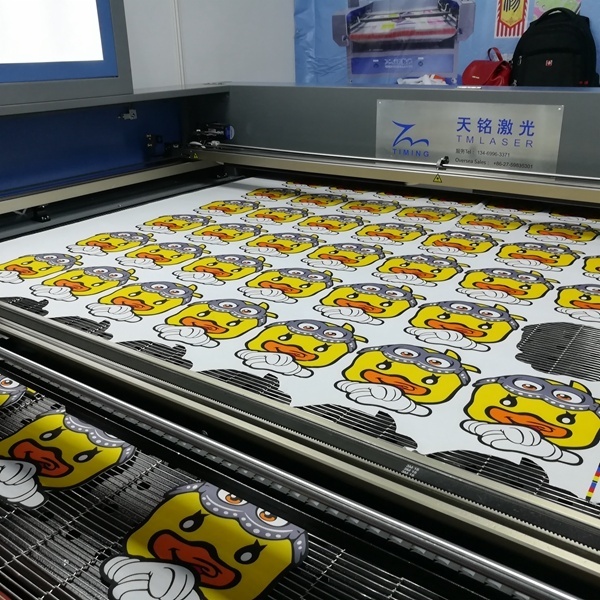 Characteristics High speed automatic textile laser cutting machine, using high-definition digital SLR to one time realization the high precision imaging, which is including the large-format and multi-pattern, and avoid the error of splicing the image and the decline in image quality. This machine adopting high speed, high precision stepper motor, automatic feed, automatically capture the border and cutting speed is 2.5 times than of the traditional, which is the best choice of modern high-speed fully automatic large enterprise. High speed automatic textile laser cutting machine, using high-definition digital SLR to one time realization the high precision imaging, which is including the large-format and multi-pattern, and avoid the error of splicing the image and the decline in image quality. This machine adopting high speed, high precision stepper motor, automatic feed, automatically capture the border and cutting speed is 2.5 times than of the traditional, which is the best choice of modern high-speed fully automatic large enterprise.